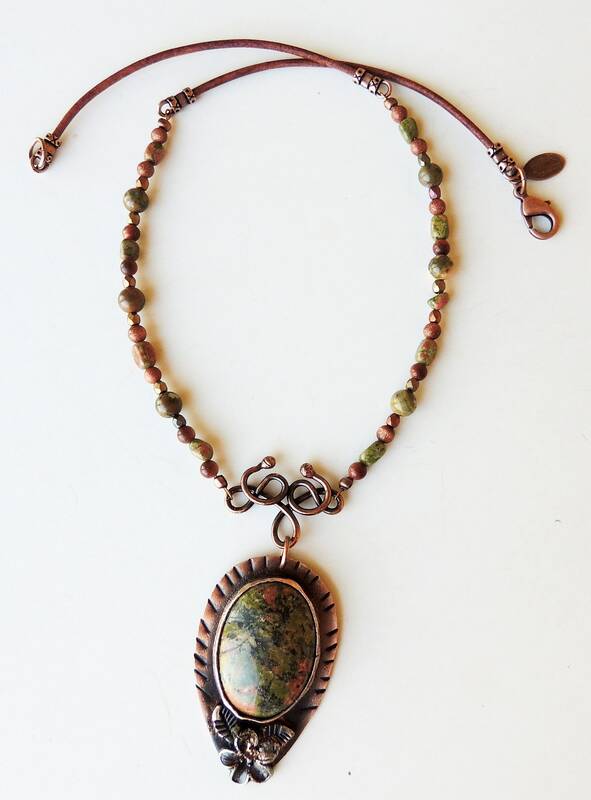 Unakite brings together the abundant, nurturing energy of green with the soft, caring passion of pink in one of Nature's most healing crystals of the heart and mind. This is a stone dedicated to balancing the emotional body. 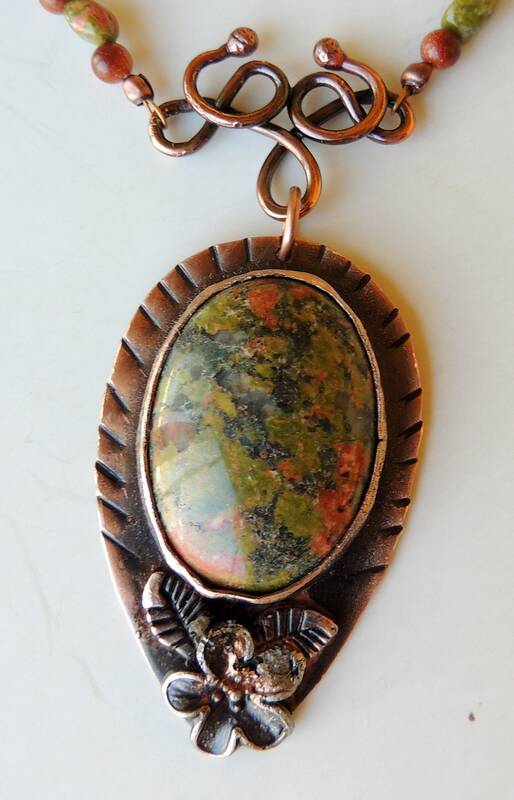 I created a copper bezel for this Unakite stone and embellished with leaves and a flower. 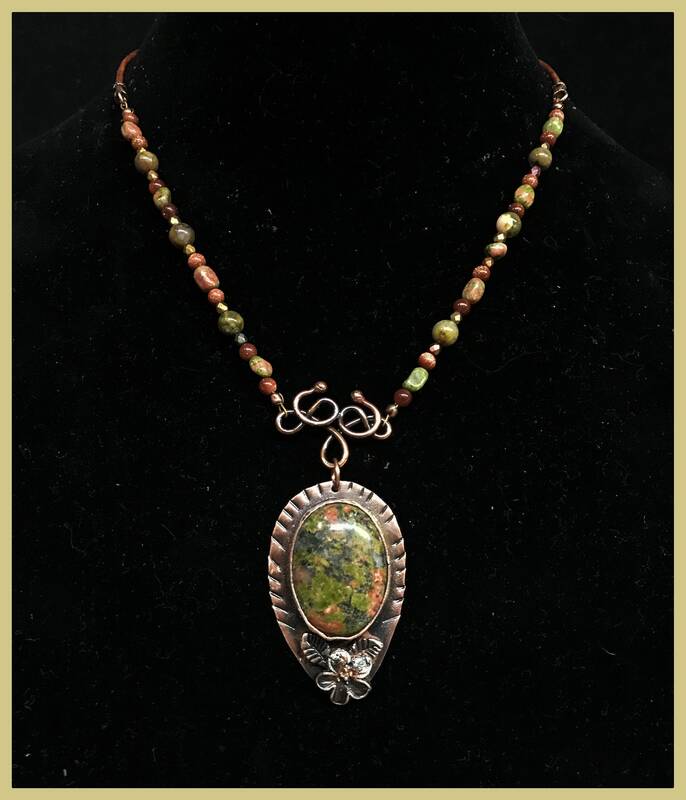 I then created a bail and added Unakite beads, gold stone, and glass Czech beads to compliment the pendant. I also used 2 mm tan cord in addition to the beaded sections. The overall length is 18 inches. 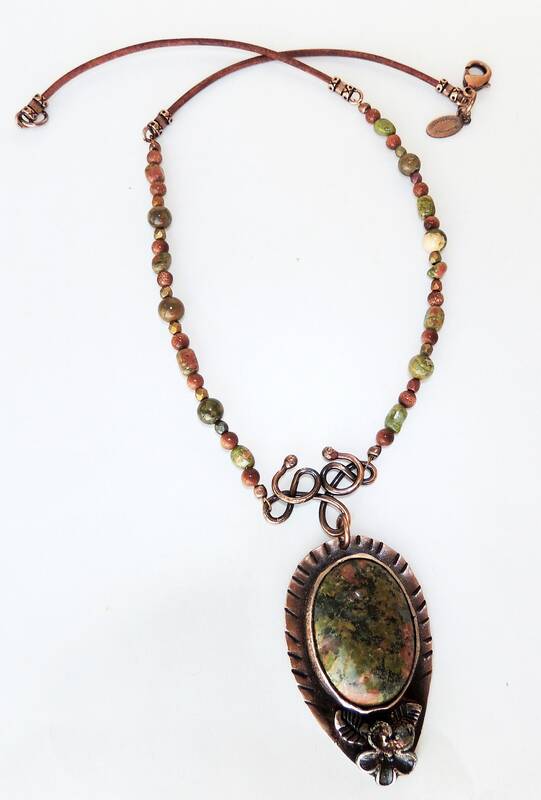 I have a removable copper chain extension if you wish the necklace to be 20 inches.